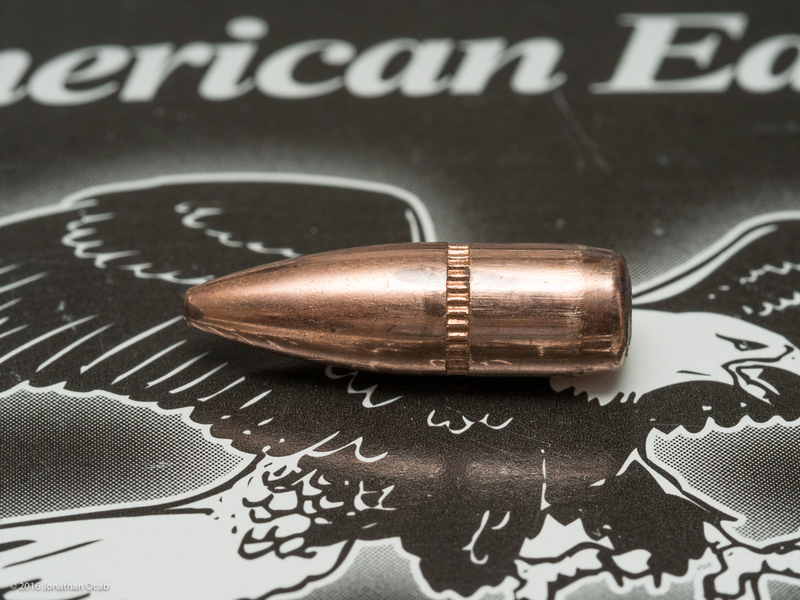 .223 Remington and 5.56 NATO ammunition are some of the most produced and consumed cartridges in the United States due in large part to the AR-15 category of rifles. 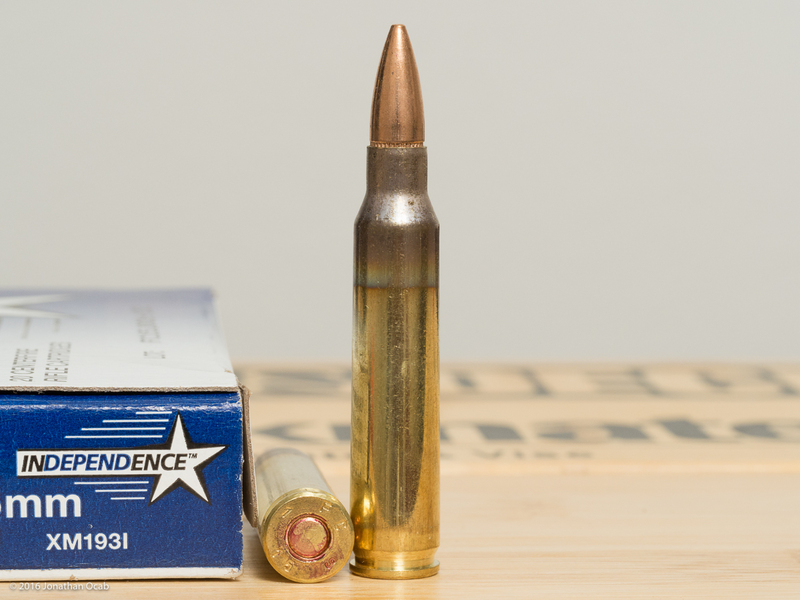 Factory .223 and 5.56 ammunition is also relatively inexpensive when compared to other centerfire rifle cartridges, which helps fuel the consumption of these cartridges. 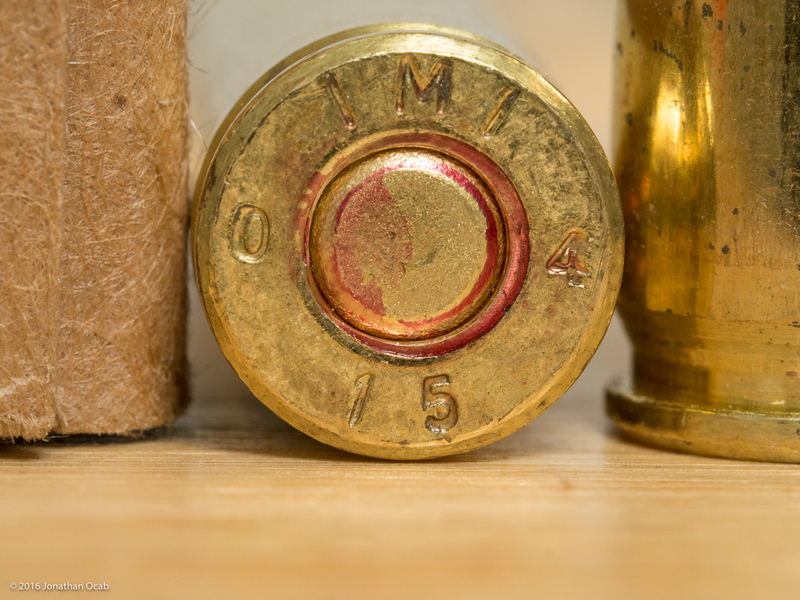 Within the various types of .223 and 5.56 ammunition, bullet weights of 55gr and 62gr are the most popular, thanks to the USGI M193 (55gr) and M855 (62gr) 5.56 NATO rounds. 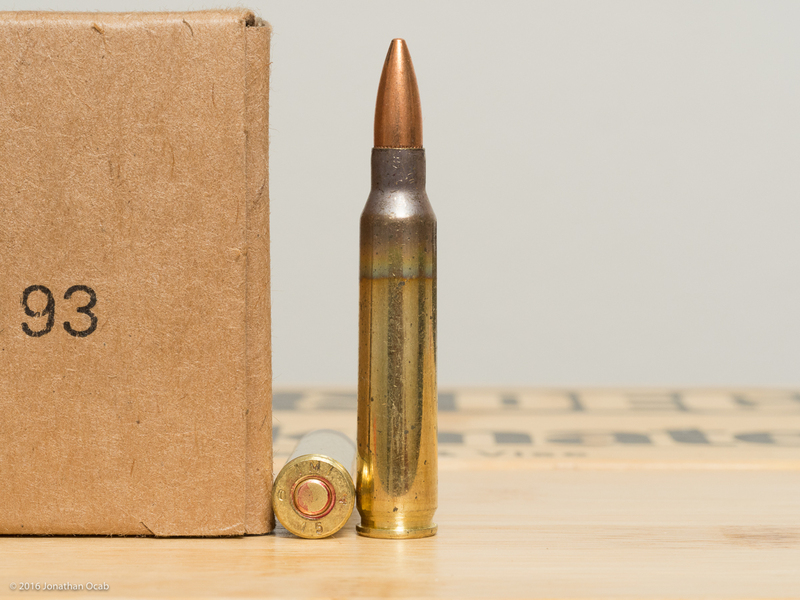 While actual USGI M193 and M855 is technically not available to the commercial market, commercial ammunition manufacturers do produce ammunition to similar specifications of M193 and M855 (at least with regards to muzzle velocity and pressure). 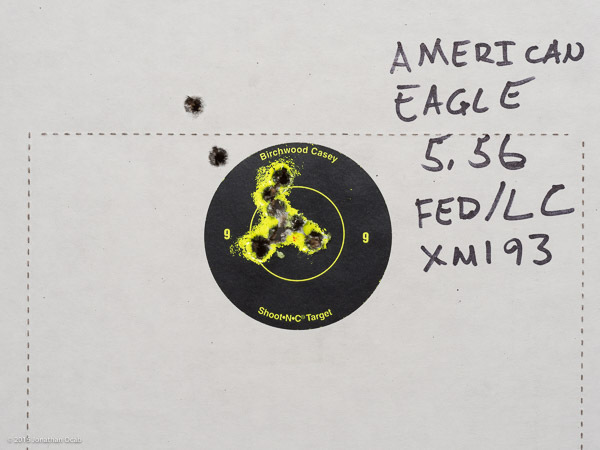 I personally use Federal “American Eagle” XM193 55gr ammunition, and have used Federal XM193 for many years because Federal XM193 is actual Lake City factory produced. 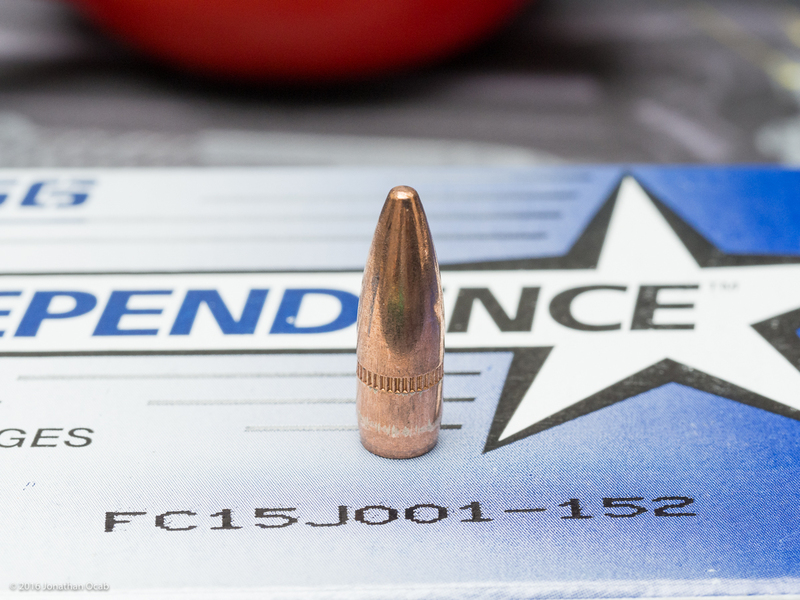 Plus, Federal XM193 uses Lake City brass, which is in my opinion the best brass for reloading for the AR (longevity), second only to Lapua (accuracy). Note: Back before 2013, I used to handload all of my ammunition, whether for matches or just plinking. But when the panic purchasing started at the beginning of 2013, driving up the costs of all firearms related products, powder prices and supply has not gone back to the levels pre-2013. Thus, I currently buy factory ammunition for general shooting, and handload pure accuracy ammo (e.g. 77gr or 80gr .223). I know a lot of AR owners tend to buy non-Federal / Lake City ammunition because the alternatives out there are slightly cheaper per round. For me, the extra cost per round for Federal / Lake City ammo is justified when it comes to having brass that I will reuse (and is desirable to all .223 reloaders). 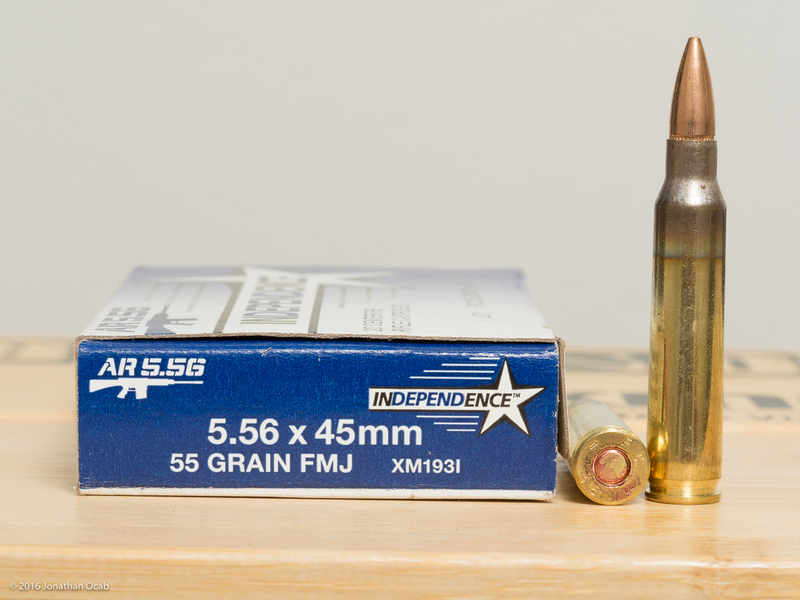 But, I did have curiosity regarding the performance of other brands of 55gr 5.56 and .223 variants. 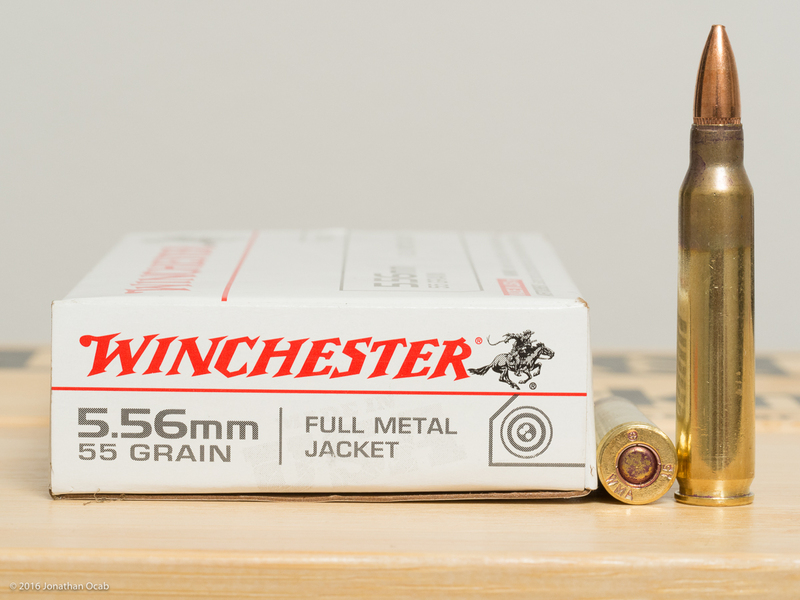 So I acquired a few boxes of several different 55gr ammunition to do some comparison testing. 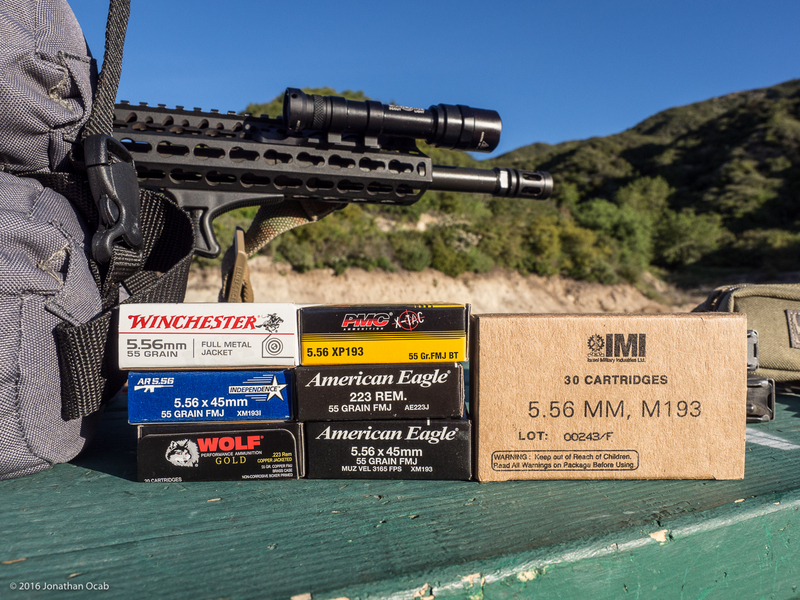 When I chose the ammo to test, it was based on what I thought were the most commonly purchased 55gr M193 clones. 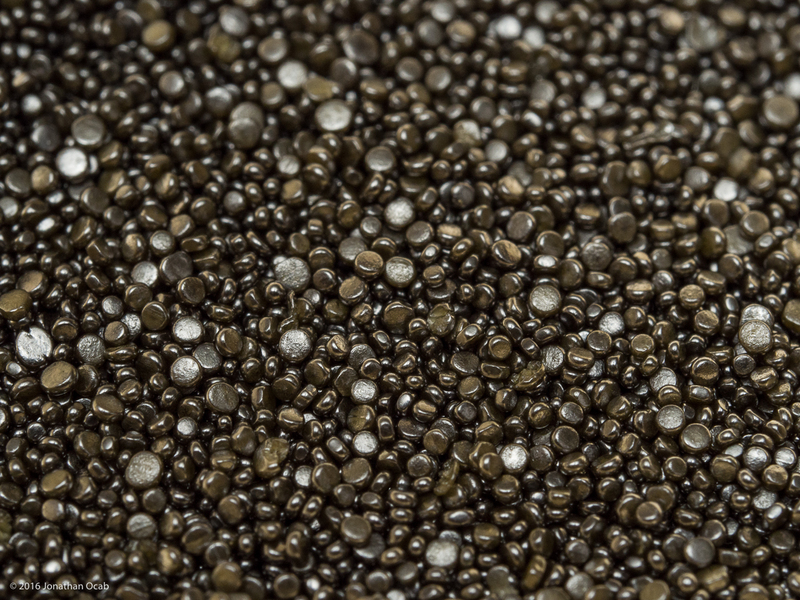 You will probably notice the above list includes two .223 Remington ammunition types. 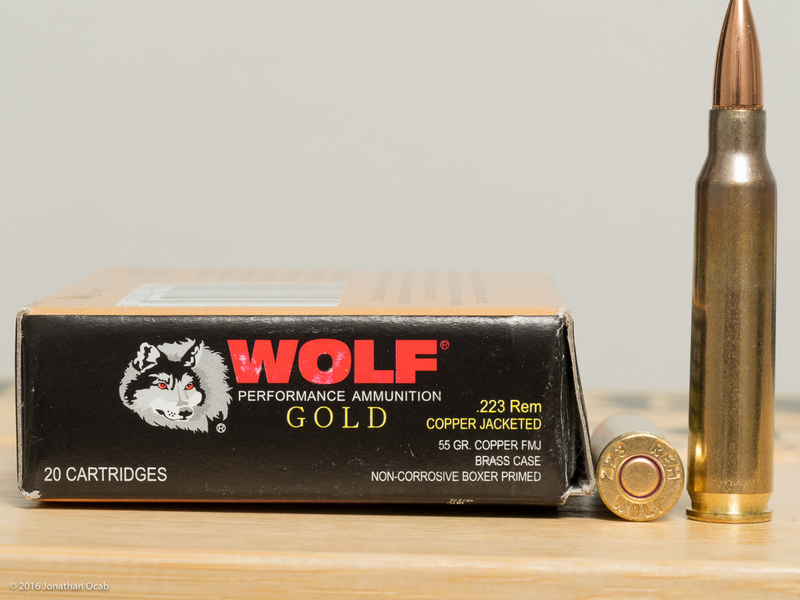 I wanted to include these in the comparison because Federal AE223 and Wolf Gold are very popular, less expensive, and readily available ammo options both locally in stores and online. 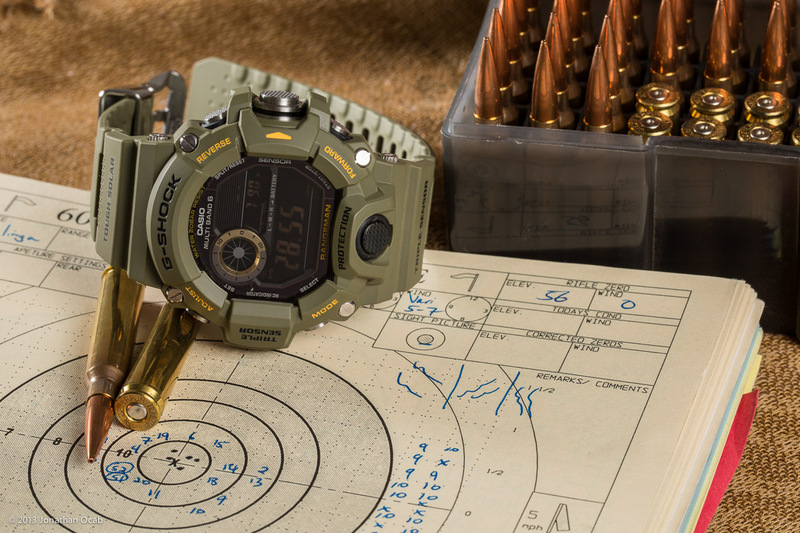 The comparison testing I conducted should not be construed as a complete comparison or review of the ammunition above. I make no final and definitive claims as to one ammunition being better than the other. 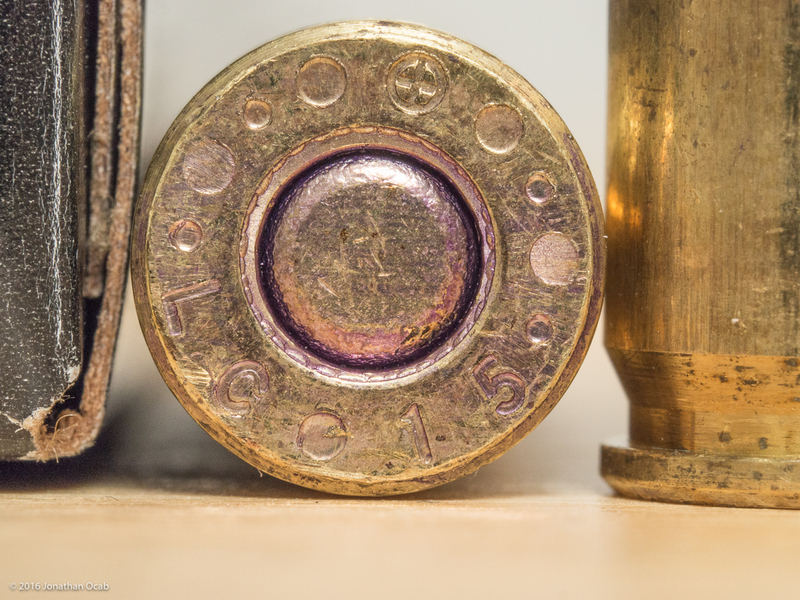 There are other factors that play into the performance of ammunition, including the actual firearm used, shooter skill / error, ammunition lot numbers, etc. This is merely some basic comparison testing I wanted to do to satisfy my own curiosity. As far as live fire comparison, I wanted to run 10-shot strings of each ammunition version over a chronograph to get muzzle velocity data. All ammo was shot using my primary AR defensive rifle build, which utilizes a Bravo Company MFG 16″, 1-7″ twist, mid-length, Cold Hammer Forged, Chrome Lined barrel, chambered in 5.56 NATO, with a BCM Compensator MOD 0. The Shooting Chrony Alpha Master chronograph was placed 15 feet in front of the rifle muzzle and the targets were at ~65 yards. Points of aim were 2″ Shoot-N-C pasters on IPSC targets. Group sizes were measure using calipers edge to edge, and subtracting .224″ (to get group sizes from center hole to center hole). Note that the group sizes are not going to be indicative of true accuracy because I used an Aimpoint Micro T-1 with 2MOA dot as opposed to using a fine reticle magnified telescope optic. 2MOA is approximately ~1.36″ at ~65 yards, so this is good amount of inaccuracy when it comes to shooting groups. But since I shot all of the groups with the same rifle, the results will still be comparative. In cases where fliers were evident, I took a second group size measurement subtracting at most two fliers. I also measured samples of each ammunition, measuring three random cartridges from each box for base to ogive measurement, cartridge overall length, as well as pulling a bullet off one of one cartridge from each ammunition box to inspect the bullet and powder (weighing powder charge and bullet). I measured base to ogive measurement using a Stoney Point (now Hornady) bullet comparator tool. There are several bullet comparator tools out there, but the Hornady bullet comparator tool attaches to the jaw of a caliper for quick and easy measuring off of the ogive. 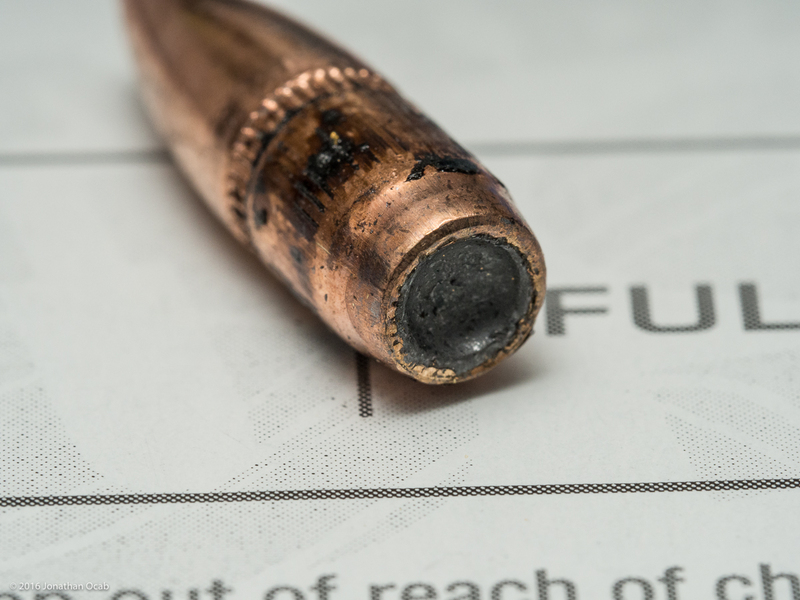 The importance of the ogive of a bullet is that this is generally where the bullet initially makes contact with the bore as it begins traveling from the chamber. 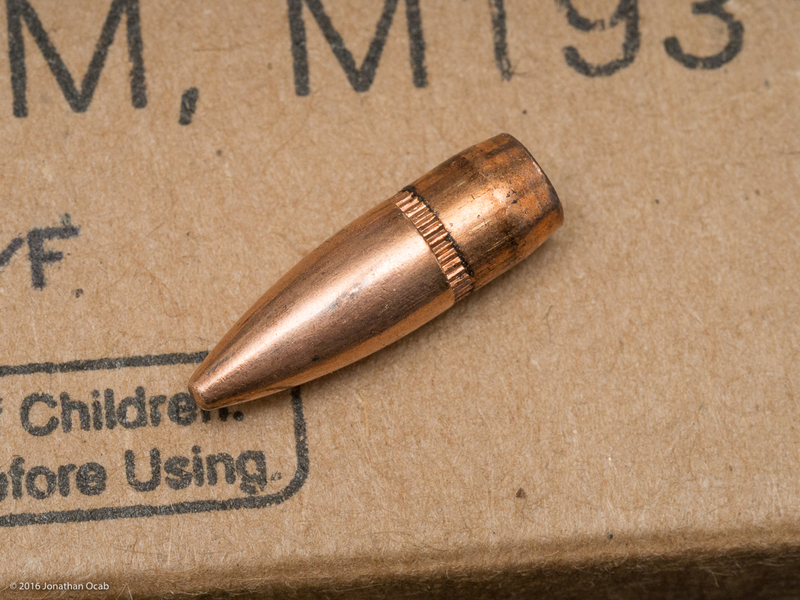 In some schools of thought, it is believed that a bullet is more accurate if it has to ‘jump’ less of a distance before it makes contact with the rifling. So a shorter base to ogive could theoretically be worse. 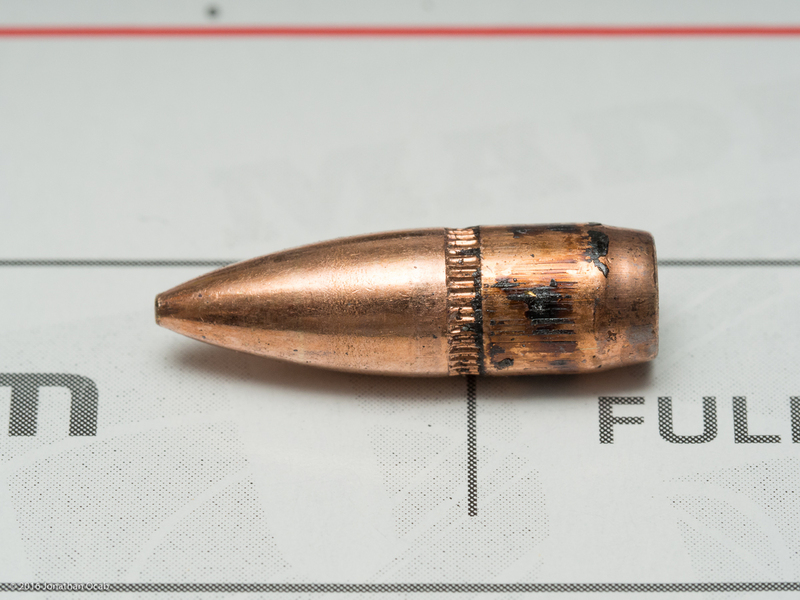 Of course, there is a level of safety here in that you don’t want too long of a base to ogive measurement otherwise the bullet is jammed into the rifling before it is fired, which could result in an adverse pressure spike. 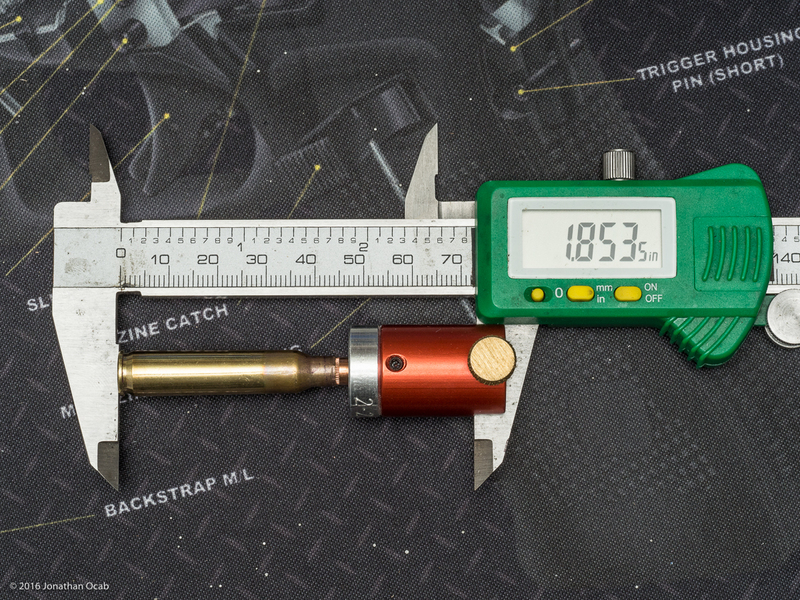 I measured the base to ogive length of samples of the ammunition tested simply for data collection. There is no stressed importance of these values, especially since light bullets in a 5.56 NATO or .223 Remington chamber will have a good amount of jump due to the freebore of the chamber. If you handload your own rifle ammo, I highly recommend the Hornady Bullet Comparator tool (or any other bullet comparator tool). It will be a valuable gauge for when you start delving into techniques for creating more accurate loads (e.g. seating bullets to the lands, chasing the barrel throat) with heavier weight and/or Very Low Drag (VLD) bullets. I also deprimed a few pieces of brass from each ammo type shot to check for the existence of a primer pocket crimp. I did this by using a primer pocket uniforming tool. This tool will not insert into a primer pocket if a crimp exists. If it is able to insert into the pocket, then I assume there is no crimp or a light crimp depending on how it feels. 10-shot strings with muzzle velocities and groups recorded on 2016-03-25. Ambient temperature 65F to 68F, increasing throughout the morning. 10-12 mph winds, decreasing throughout the morning. 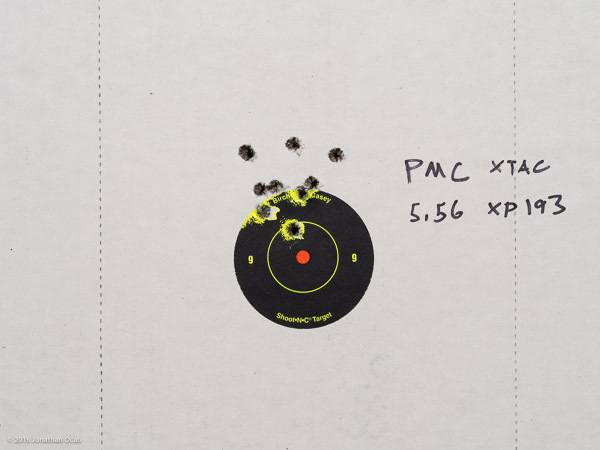 Point of aim was 2″ paster with Aimpoint Micro T-1 2MOA dot. 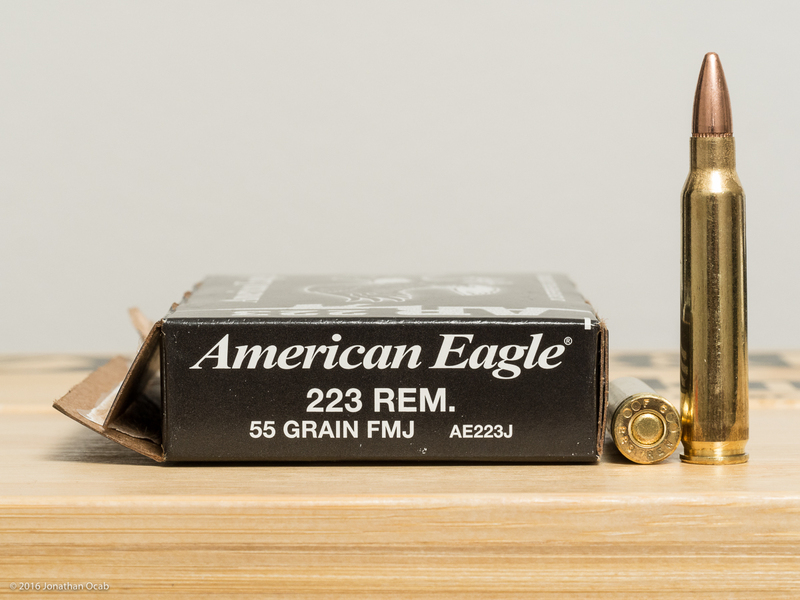 Federal AE223 is a .223 Remington SAAMI specification round with a 55gr bullet. This is a true commercial offering from Federal which should be safe for any and all .223 Remington and 5.56 chambered rifles. Pulling the bullet yields a copper full metal jacket, cannelured 55.5gr bullet (weighed on scale) with a flat exposed base. 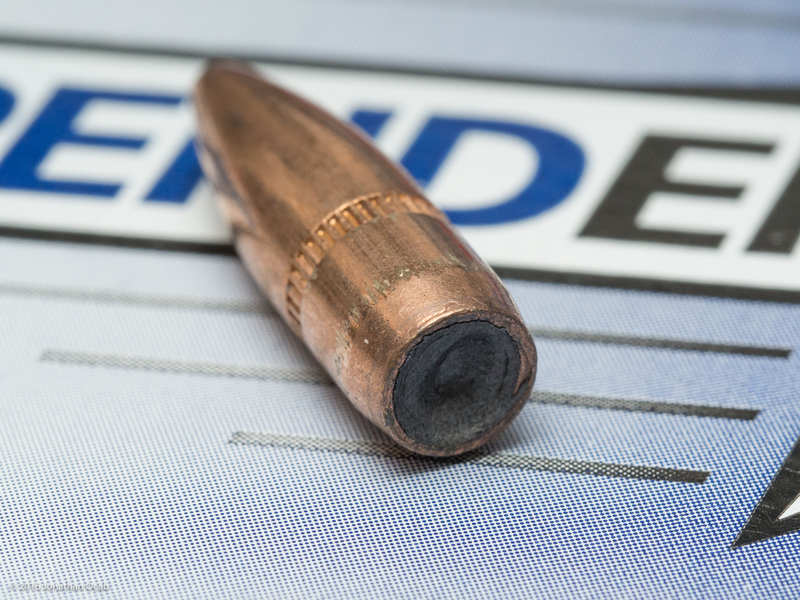 Note that the bullet has a minor boat tail, and the lead base protrudes out beyond the copper jacket. The powder is a consistent flattened spherical design. The ammunition does not have bullet or primer sealant, and there is no evident annealing of the shoulder of the case. The headstamp indicates Federal Cartridge (FC) and .223 Remington specification. I was surprised to find that the primer pocket is crimped. I deprimed four pieces and the primer pocket uniforming tool would not insert into the pocket. The average velocity observed out of my 16″ barrel is 2988.8 feet per second (fps), with a standard deviation of 40.8 fps. The group size for Federal AE223 was 1.971″. If you remove two fliers (two high left shots in image below), the group size is 1.382″. This is actually the ammo I purchase, ‘stockpile’, and use on a regular basis for practice, defensive drills, etc. 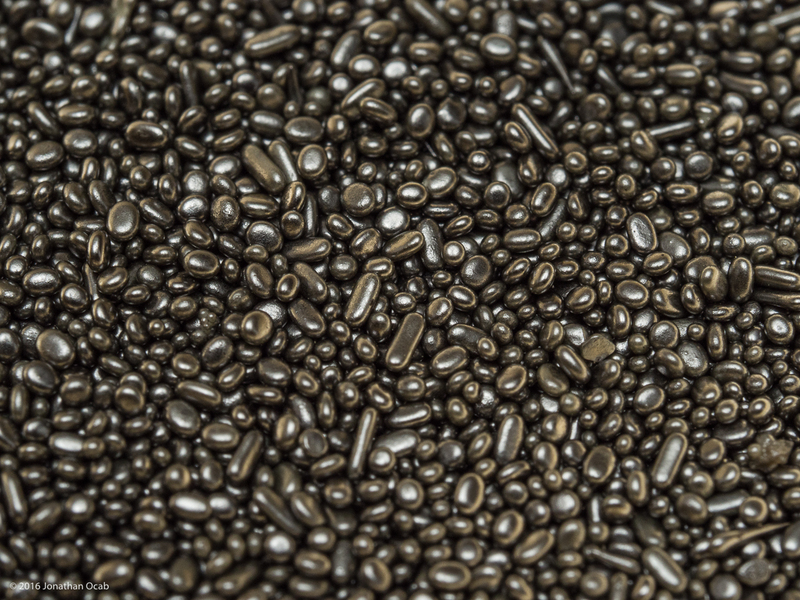 Federal XM193 is supposed to be actually production ammo from the Lake City plant. If you believe what has been stated on the Internet, XM193 is from M193 lots that didn’t pass specific tests to achieve MILSPEC. While still safe to use, it could be things like inconsistent primer sealant. Either way, as I mentioned earlier, I favor this ammo because of the Lake City brass that is used to produce it. Pulling the bullet yields a copper full metal jacket, cannelured 55.0gr bullet (weighed on scale) with a flat exposed base. 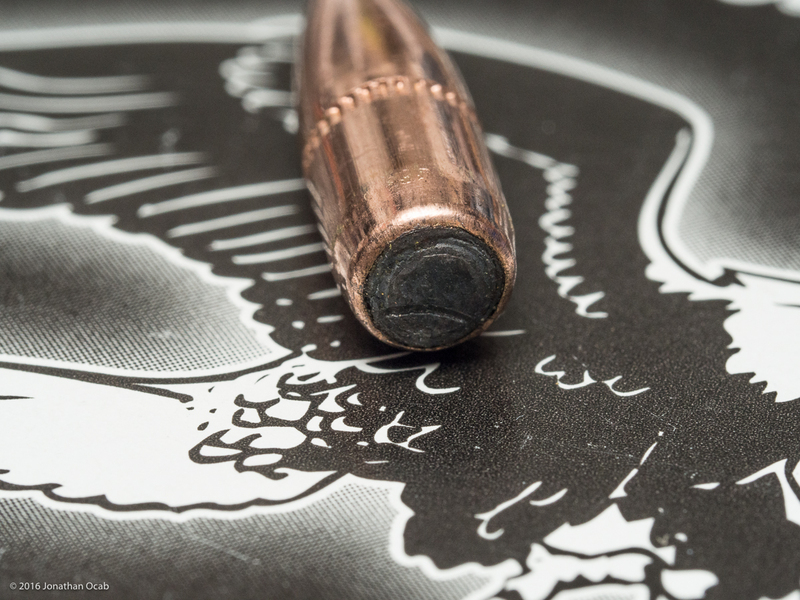 Note that the bullet has a distinct boat tail, and the lead base is flush with the copper jacket. The powder is a consistent flattened spherical design. 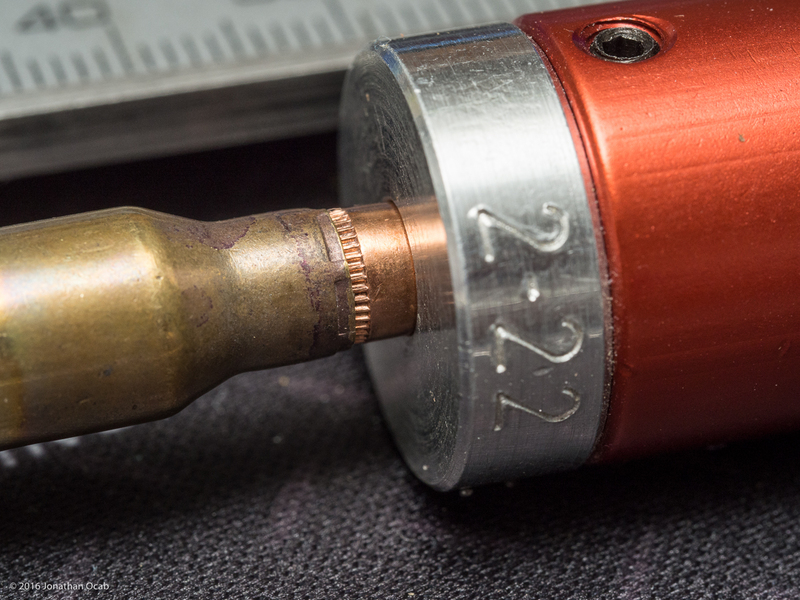 The ammunition has bullet and primer sealant, and there is evident annealing on the shoulder of the case. The headstamp indicates Lake City 2015 (LC 15) and bears a NATO cross. 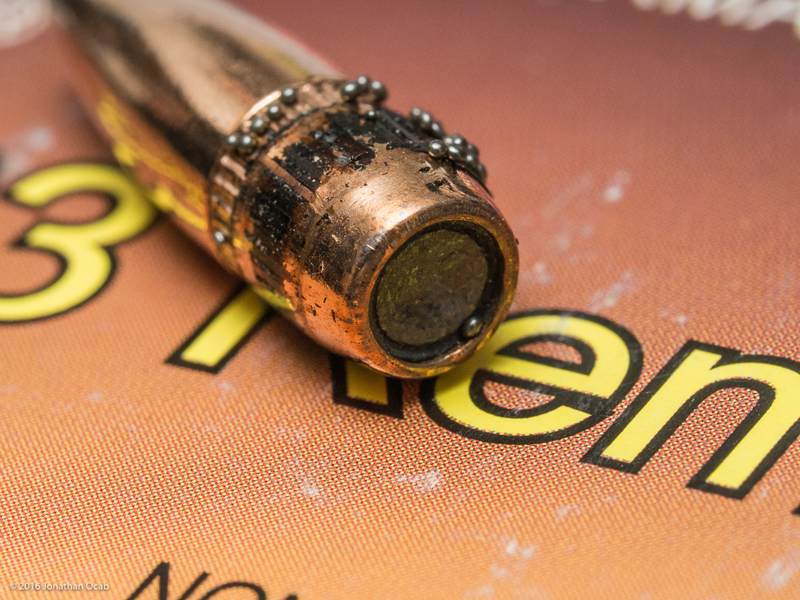 The LC 2015 brass did not have an evident primer pocket crimp. I have actually had some interesting experiences with recent batches of Federal / Lake City American Eagle XM193. Some of them had crimped primer pockets, while others did not. But this is one example of how XM193 is not true M193. True M193 will have crimped primer pockets and if you use once-fired brass from a verified military source like I do, you will need a primer pocket crimp removal tool (e.g. Dillon Super Swage 600). The average velocity observed out of my 16″ barrel is 3132.7 feet per second (fps), with a standard deviation of 44.1 fps. IMI is also known as Israeli Military Industries. 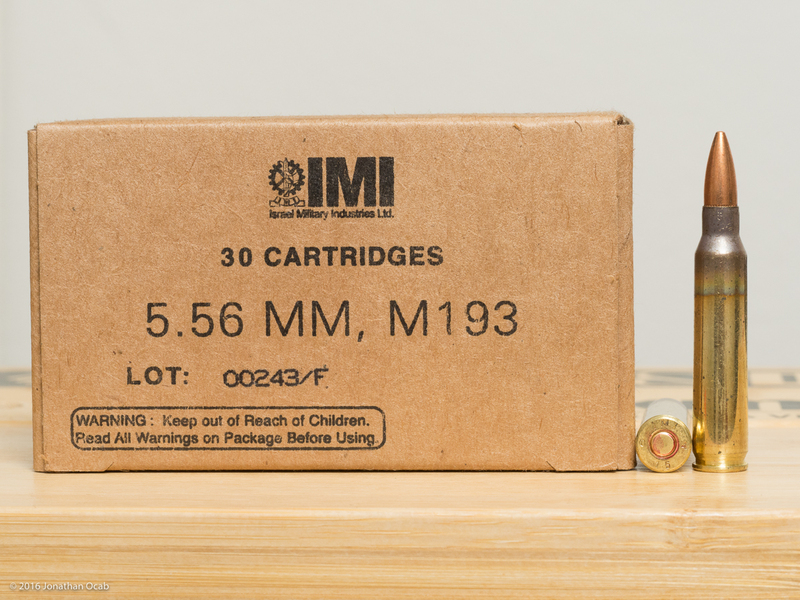 IMI has a good reputation of producing quality product, and their ammunition is considered on par with USGI ammunition. Pulling the bullet yields a copper full metal jacket, cannelured 55.4gr bullet (weighed on scale) with a concave exposed base. Note that the bullet has a distinct boat tail. The powder is a consistent flattened spherical design. The headstamp indicates IMI 2015 (IMI 15). There is a very light primer pocket crimp on the IMI brass. 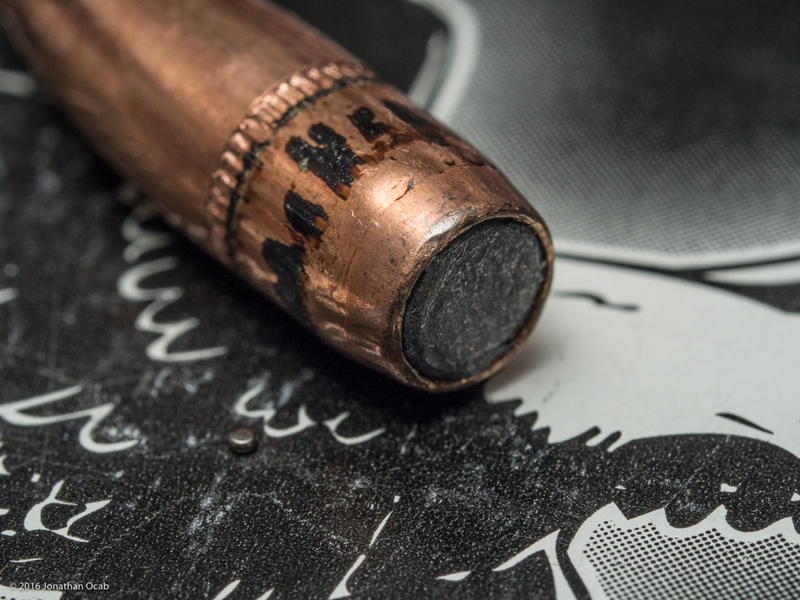 You might be able to squeeze a primer into the pocket without swaging or reaming, but it might be a good idea to run through all the primer pockets of an entire batch to be sure (and uniform). The average velocity observed out of my 16″ barrel is 3155.1 feet per second (fps), with a standard deviation of 25.8 fps. The group size for IMI M193 was 3.462″. This was quite disappointing and I shot a second 10-shot string after I finished shooting the other ammunition to see if the initial test group was a fluke. Unfortunately, the group size of the second string was a sloppy 3.271″. I have read mixed information regarding Independence brand ammunition. Some claim it is actually IMI ammunition under a different name, but none of the Independence ammo I have seen had an IMI headstamp. The box does state that the ammunition is imported from Israel by Federal Cartridge. 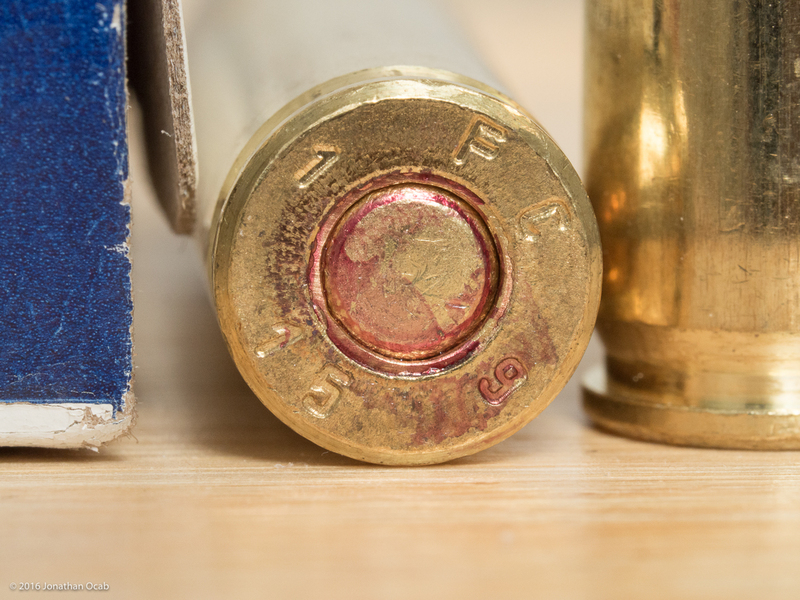 What this may indicate is that Federal Cartridge operates a factory in Israel and some of that ammunition makes it back stateside under the Independence label. 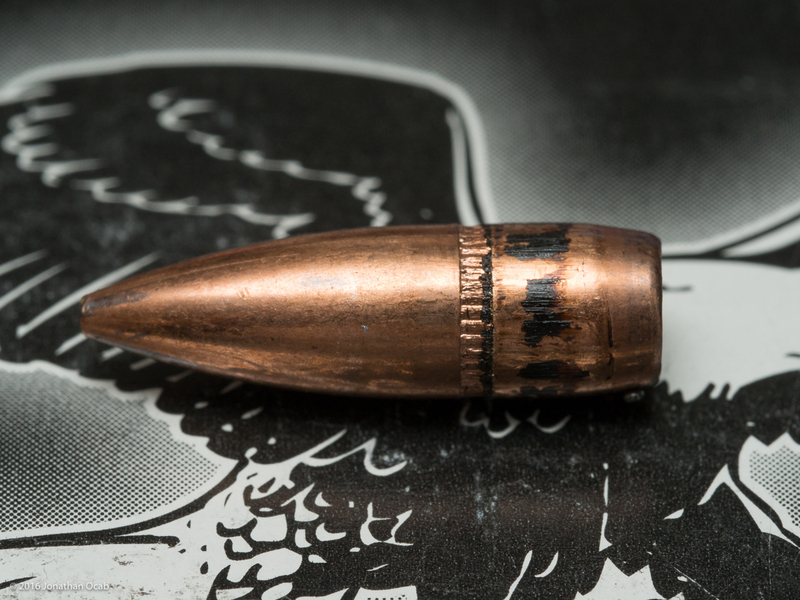 Pulling the bullet yields a copper full metal jacket, cannelured 55.4gr bullet (weighed on scale) with an concave exposed base. Note that the bullet has a minor boat tail. 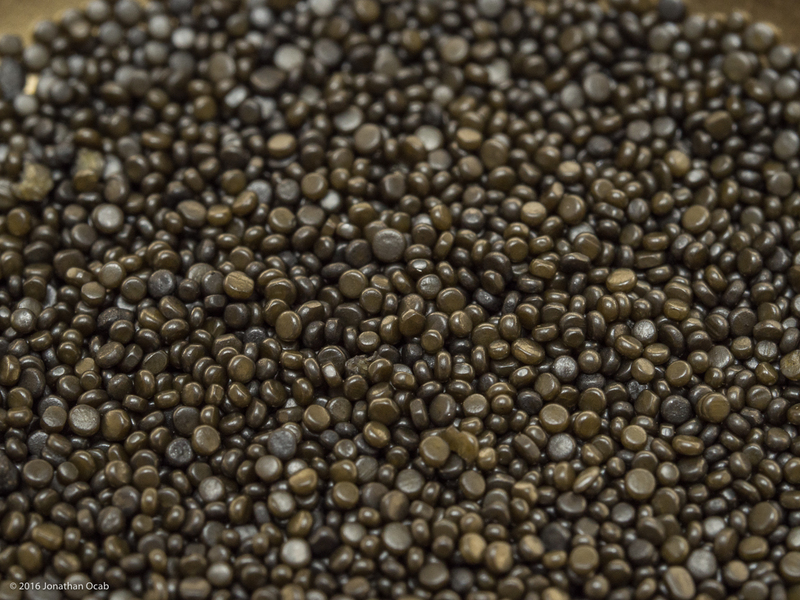 The powder is a consistent flattened spherical design. The ammunition has no bullet sealant, but has evidence of primer sealant, and there is evident annealing on the shoulder of the case. The headstamp indicates Federal Cartridge 2015 (FC 15). The FC15 brass did not have a primer pocket crimp. The average velocity observed out of my 16″ barrel is 3222.8 feet per second (fps), with a standard deviation of 28.7 fps. The group size for Independence XM193 was 1.885″. If you remove two fliers (one low, one far right), the group size is 1.130″. PMC Ammunition is made in South Korea. I used to buy their 55gr ammunition in the late 1990s / early 2000s in my early days of shooting because it was quite inexpensive (always on sale locally). The quality of PMC ammo is relatively decent and I’ve never had issues with PMC ammo in my years of shooting. 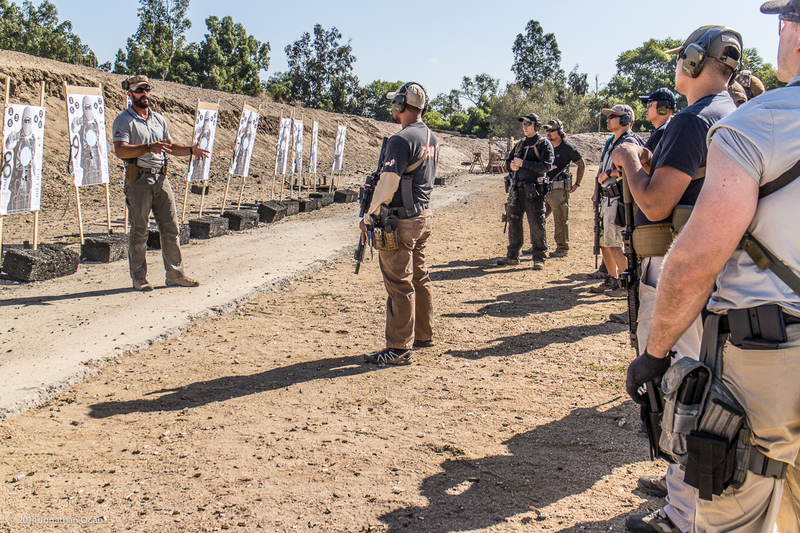 PMC X-TAC appears to be marketed as a M193 clone via the XP193 designator. Pulling the bullet yields a copper full metal jacket, cannelured 55.4gr bullet (weighed on scale) with an concave exposed base. Note that the bullet has a distinct boat tail. The powder is a consistent flattened spherical design. The headstamp indicates Poong-San – Dongrae 2015 (PSD 15). 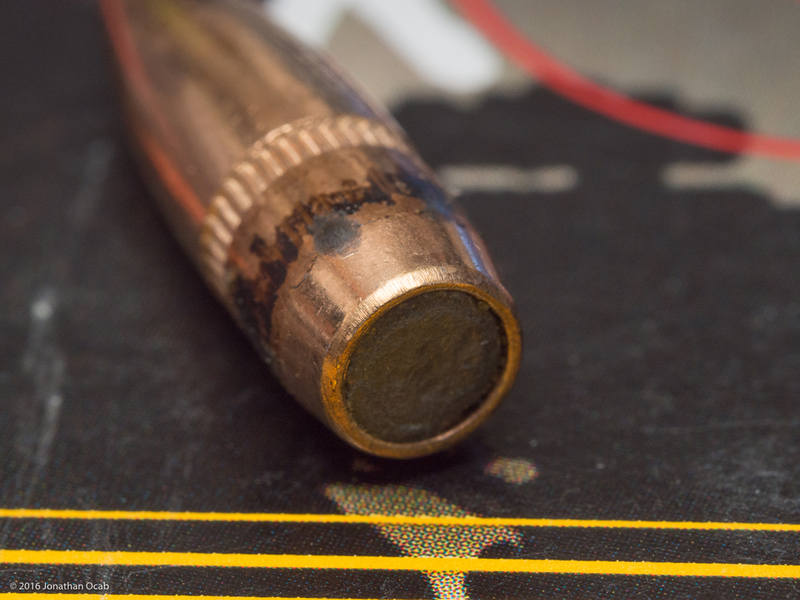 The PSD 15 brass had a definite primer pocket crimp. The average velocity observed out of my 16″ barrel is 2979.7 feet per second (fps), with a standard deviation of 20.1 fps. 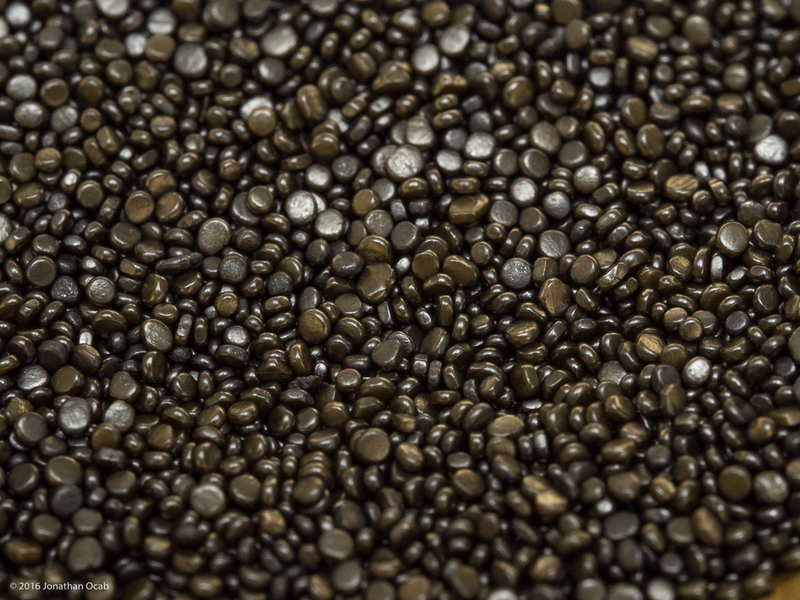 The group size for PMC XP193 was 1.278″. Winchester Q3131 / Q3131A was actually highly sought after ammo in the early 2000s. It had gained a reputation as being very high quality, and what people liked about it was that Q3131/Q3131A was supposedly made to M193 specification, but also ‘cleaner’ in that it was polished before being boxed and shipped out (unlike XM193 which looks quite rough at times). Pulling the bullet yields a copper full metal jacket, cannelured 54.6gr bullet (weighed on scale) with an concave exposed base. Note that the bullet has a very distinct boat tail. The powder is a consistent flattened spherical design. 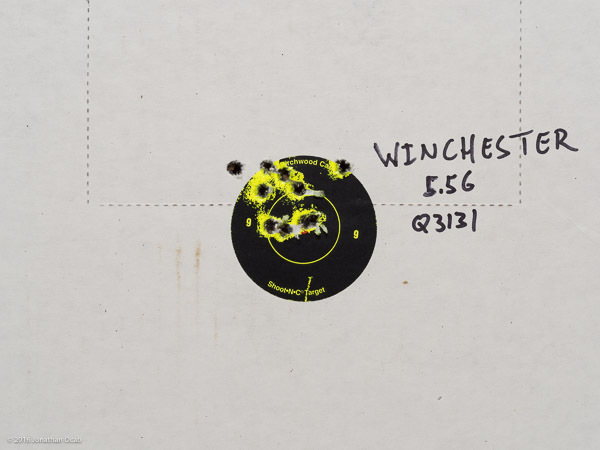 The headstamp indicates what is accepted to mean Winchester Military Ammunition 2015 (WMA 15). The headstamp bears the NATO cross. 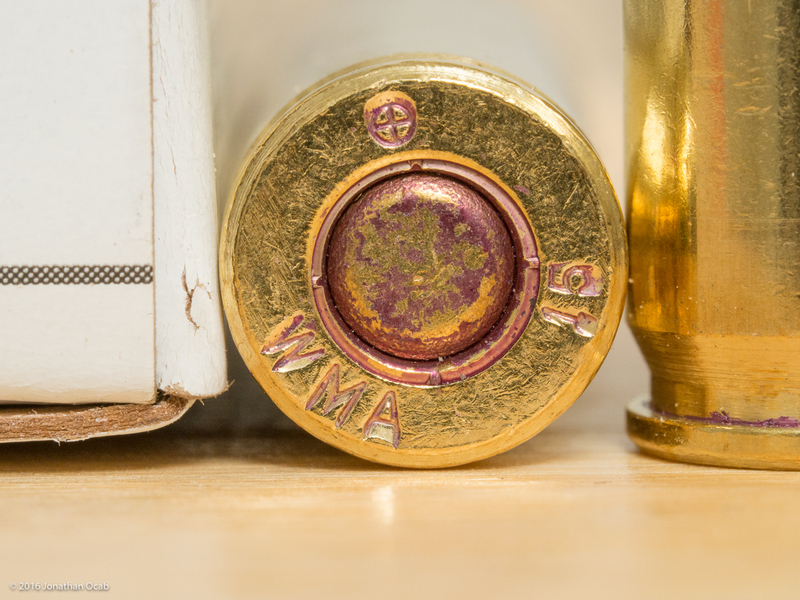 The WMA 15 brass did not have an evident primer pocket crimp. I was a bit surprised by this because Q3131/Q3131A has historically had a primer pocket crimp. The last time I bought Q3131/Q3131A was in the mid-2000s and those did indeed have a crimped primer pocket. The average velocity observed out of my 16″ barrel is 3069.5 feet per second (fps), with a standard deviation of 24.7 fps. The group size for Winchester Q3131 was 1.450″. 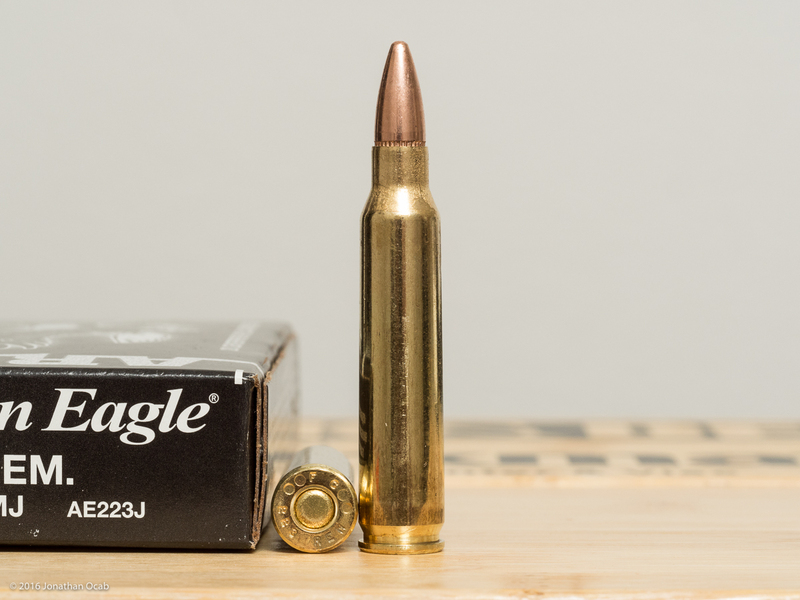 While not a 5.56 NATO cartridge, the Wolf Gold .223 Remington ammunition is very popular amongst AR shooters. 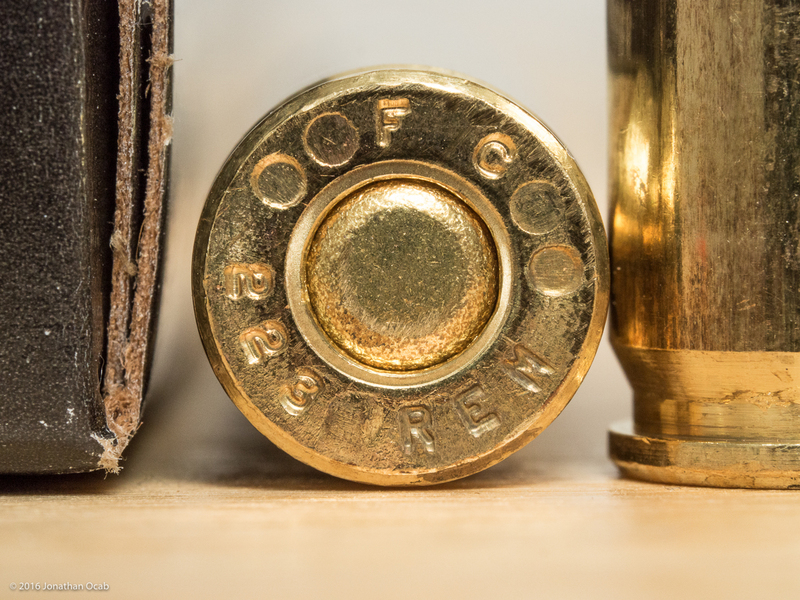 It is brass cased with a full metal jacket and is one of the least expensive factory ammunition offerings without having to go steel cased ammo. The ammunition is made in and imported from Taiwan. Pulling the bullet yields a copper full metal jacket, cannelured 55.6gr bullet (weighed on scale) with an flat exposed base. 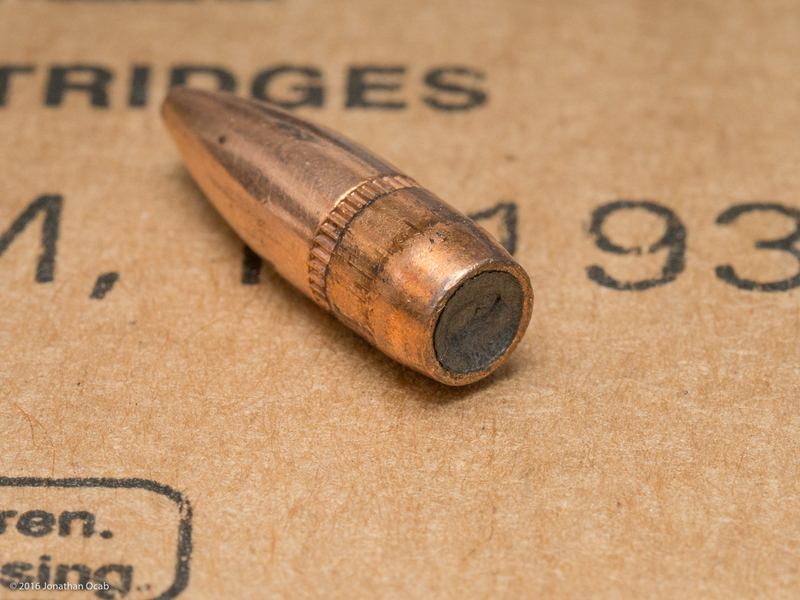 Note that the bullet has a distinct boat tail, and the exposed base is recessed from the copper jacket. 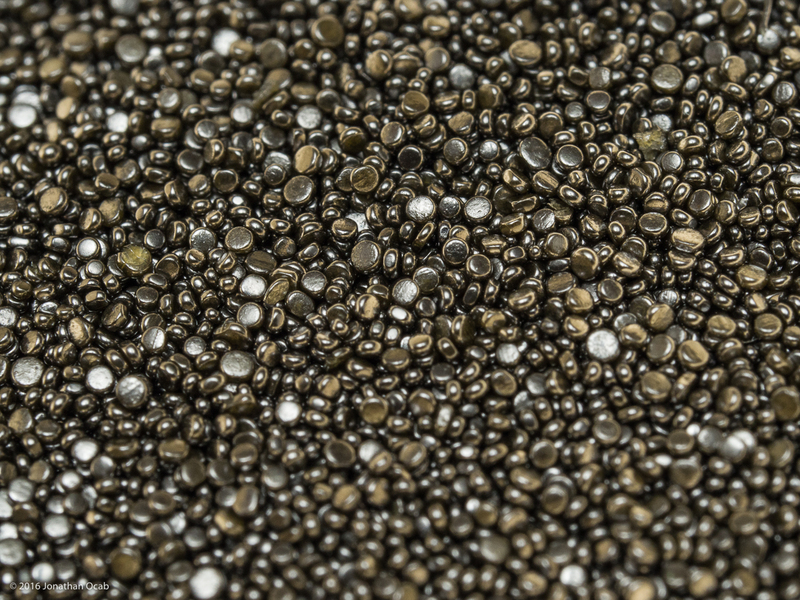 The powder actually appears to be a blend of spherical and extruded granules. The ammunition has bullet and primer sealant, and there is minor annealing on the shoulder of the case. The headstamp indicates Wolf with no year indicator. The Wolf brass exhibited a primer pocket crimp. The average velocity observed out of my 16″ barrel is 3097.5 feet per second (fps), with a standard deviation of 45.6 fps. The group size for Wolf Gold was 2.425″, but if you take out two fliers the group size is 1.505″. So what did I observe? * I reluctantly say that the Federal XM193 has no primer pocket crimp. I know that this ammo has crimped primer pockets from lot to lot. ** While the Winchester Q3131 I tested did not have a crimped primer pocket, I know it has in years past. I am not sure if things have changed in recent years. 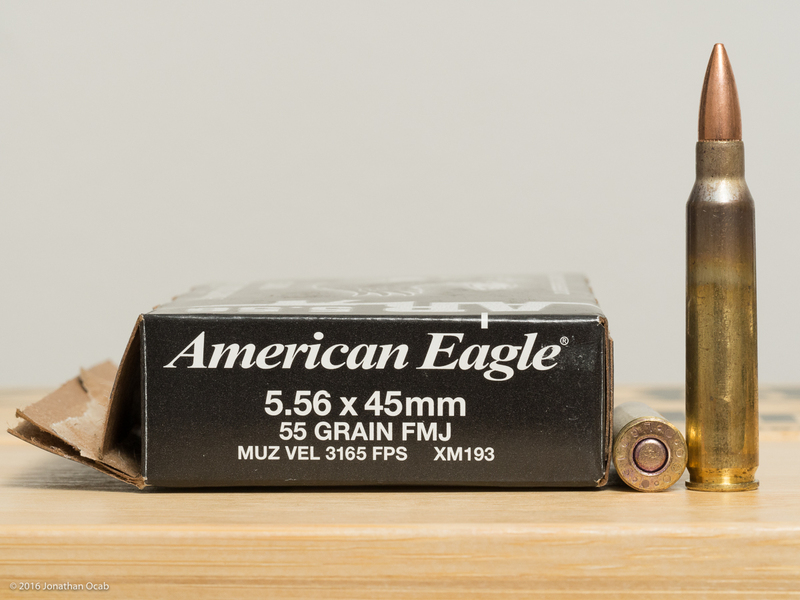 Addendum: I neglected to mention when I originally published this article that all of the ammunition in this comparison are copper full metal jacket, and do NOT attract a magnet. 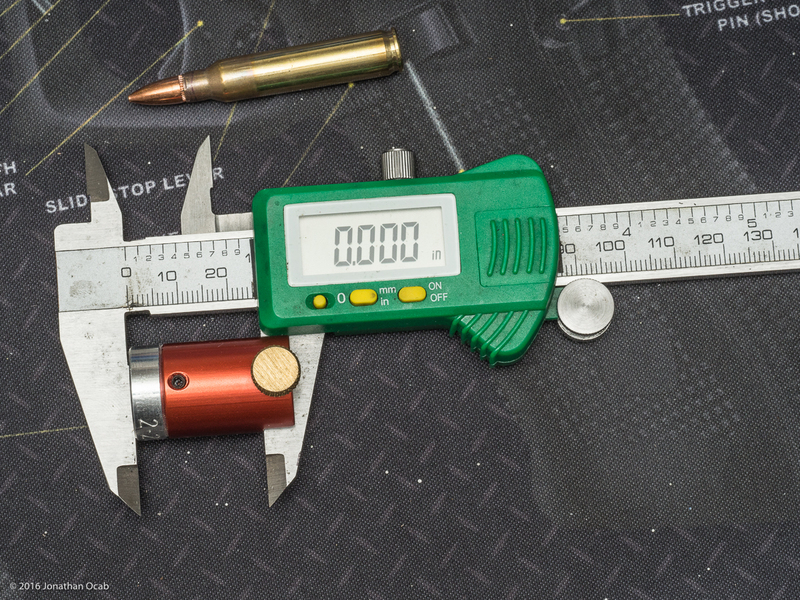 For those that frequent ranges that disallow any sort of steel / bi-metal jacketed/core bullets, all of the ammunition in this comparison will be range compliant. Well, as far as average muzzle velocity, I expected the M193 variants to be within the same range, but it appears that the Independence XM193 went on the high end, averaging over 3200 fps, while the PMC XP193 actually averaged less than 3000fps (and was slower than Federal American Eagle .223. Remington). 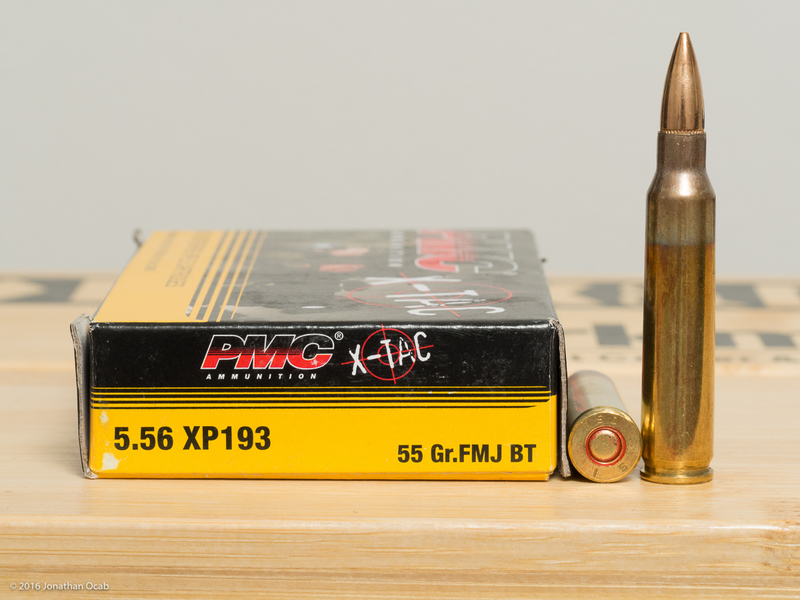 The slow velocity of the PMC XP193 ammo is not indicative of a 5.56 NATO spec round. 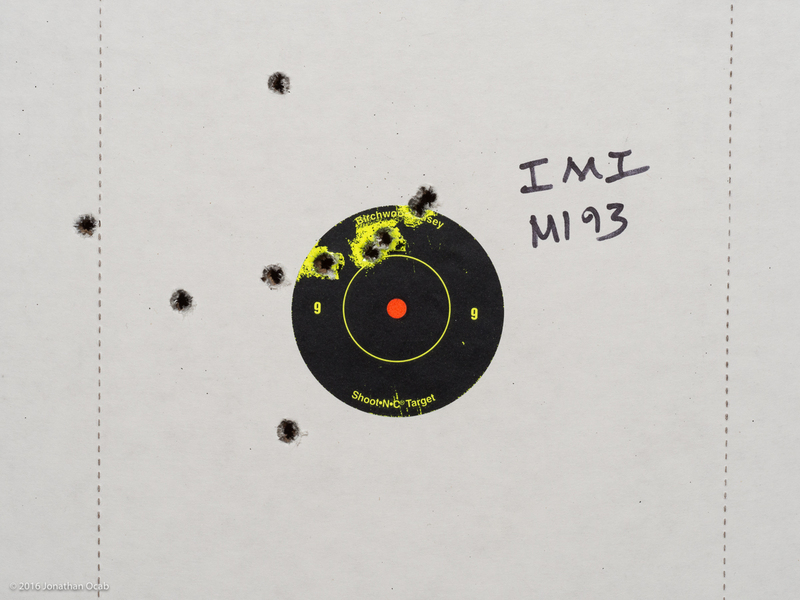 Winchester Q3131 averaged over 50fps slower than Federal XM193, which was close to IMI M193. 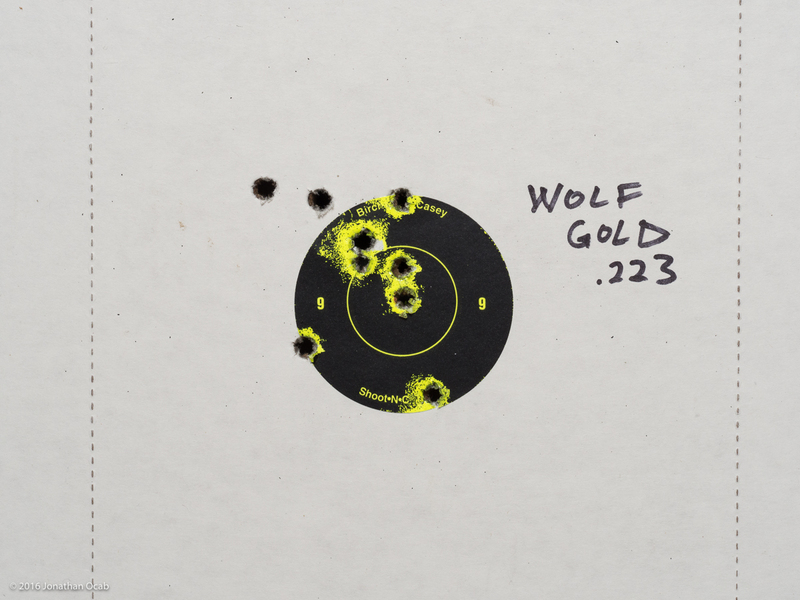 I was surprised that Wolf Gold .223 Remington averaged ~3100fps. This is actually faster than you would expect out of .223 Remington SAAMI spec ammo, which Federal AE223 behaved like. The one glaring observation is the group size of the Israeli Military Industries M193 55gr 5.56 NATO ammunition. The group sizes at ~65 yards was appalling. Considering the standard deviation was quite low compared to all others tested, I would have expected the elevation deviation on paper to be tight. I honestly don’t know what to make of the performance of the IMI M193. Given the gusty winds on the day of testing, a small amount of windage error is expected, but not the levels observed on paper with IMI M193, not to mention the elevation variances. If you recall at the beginning of this article, I measured base to ogive lengths and discussed how it has some relevance to accuracy. But if you look at the numbers, the base to ogive length for IMI is ~1.87″ which is on part with Federal / Lake City XM193. So I don’t this is a factor in the inaccuracy observed. 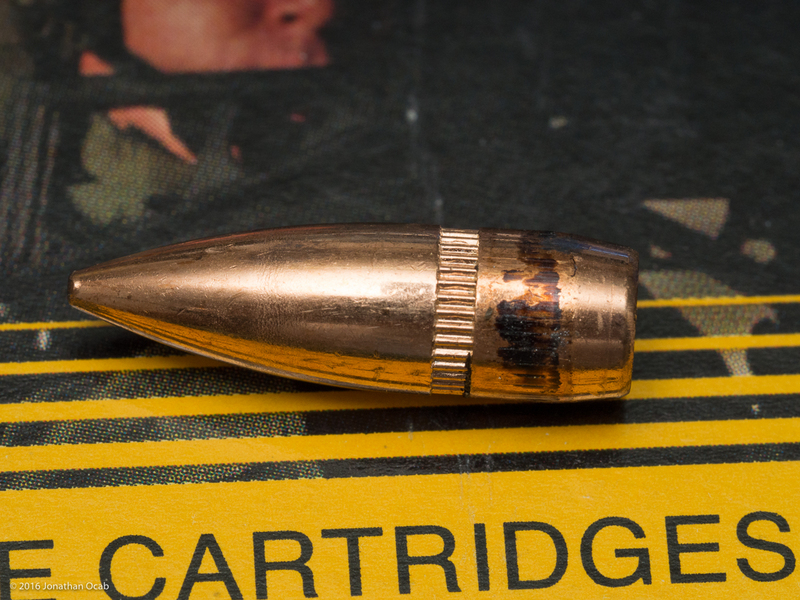 I pulled the a bullet from a loaded IMI cartridge hoping to get more insight, but the bullet looks fine as far as design. The only other thing to look at is jacket concentricity or consistency, and that is something I am not sure of how to verify or test. 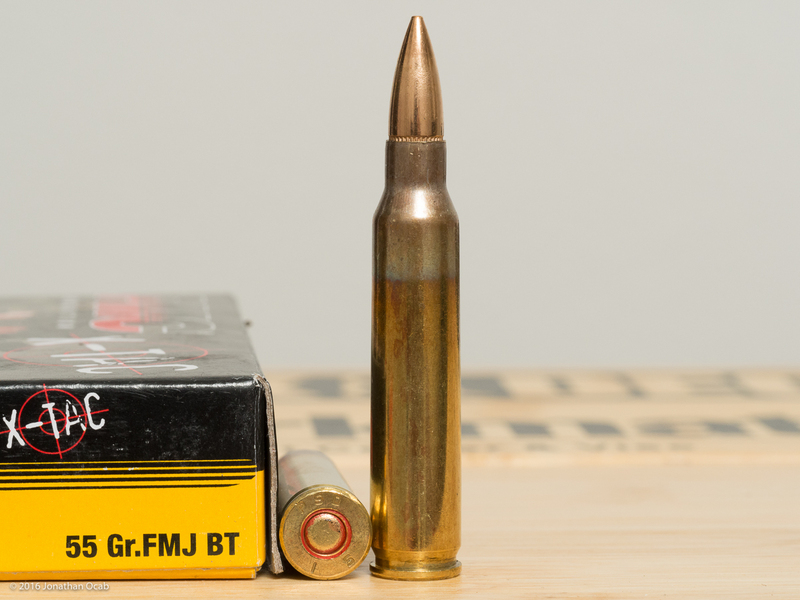 As far as comparing the relative group sizes, my preferred Federal XM193 actually shot the best (corrected) group size of all the ammo shot. 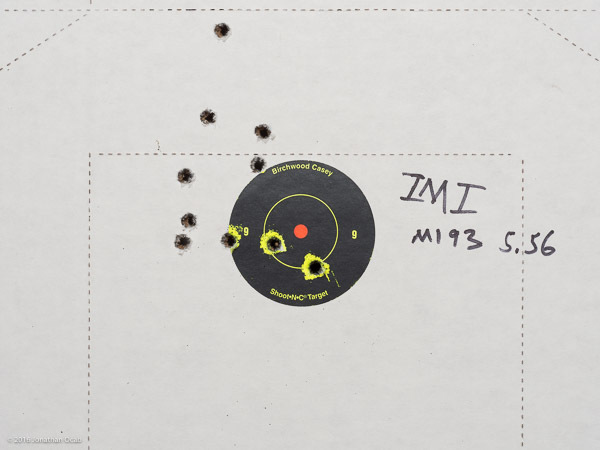 I was surprised by the grouping of all of the other ammunition tested (ignoring IMI) as they all shot relatively acceptable groups given the conditions of the test (unmagnified red dot optic). Again, it is best to look at the shot groups compared to one another in this test, rather than the group size in inches. Effective group sizes would be better if using a magnified optic. I wish to address the issue of crimped primer pockets. Most people have no preference on this, but shooters that reload have vested interest. While some reloaders do not like crimped primer pockets because it adds one extra step in initial brass prep, I actually prefer crimped primer pockets for reloading. This makes for a snug primer pocket and if you swage (as opposed to ream) the primer pocket, you maintain all the brass material in the primer pocket and hopefully have longer lasting primer pockets. 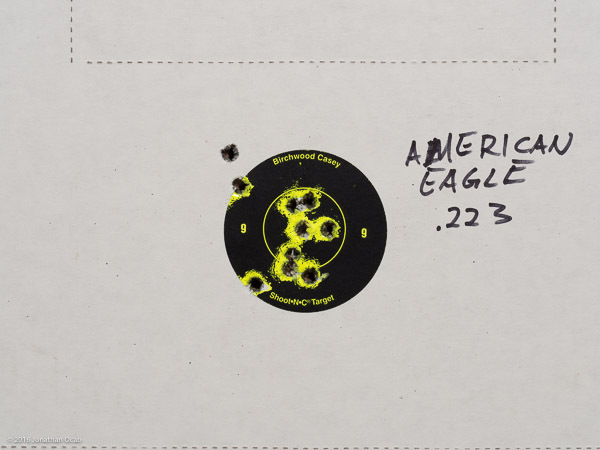 I was actually quite surprised that the two .223 Remington cartridges in this test, Federal American Eagle .223 Remington and Wolf Gold .223 Remington, both had crimped primer pockets. 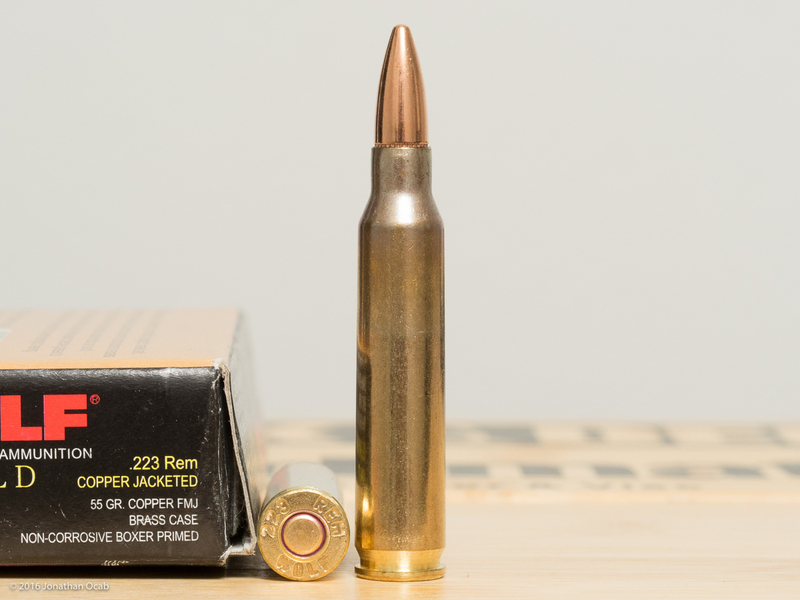 In my experience, .223 Remington SAAMI ammunition does not have a crimped primer pocket. But I surmise that both Federal and Wolf expect these specific cartridges are going to be used primarily in AR-15 platforms, hence the crimp. While I did not see a primer pocket crimp in the pieces of Federal XM193 I deprimed, I want to recommend that anyone buying Federal XM193 with the intent of reloading the brass, run under the assumption that the primer pockets will be crimped. The lot to lot variance of Federal American Eagle XM193 55gr 5.56 NATO is too inconsistent between crimp and no-crimp that you have to err on the side of caution and assume they will be crimped. Also, I cannot definitively say that Winchester Q3131 55gr 5.56 NATO ammo will not have a crimped primer pocket, because I know it used to (mid-2000s), but this 2015 run did not. So what would I recommend? I always recommend Federal / Lake City XM193 5.56 NATO simply because it has always performed for me, plus I am a fan of Lake City brass for reloading. I will get around 8 to 9 reloads before head separations become an issue, but the rims seem to last forever with Lake City brass. But based on the limited testing I did, I don’t really have a problem with the other ammunition brands/models (EXCEPT IMI M193). Although, more extensive testing such as extended range sessions using exclusively one specific ammunition type would be a more effective test, especially when trying to gauge how ‘dirty’ specific ammunition runs, and rate of malfunction. Not to mention shooting each ammo type using a magnified optic, and in other length barrels (18″, 20″, and different twists). 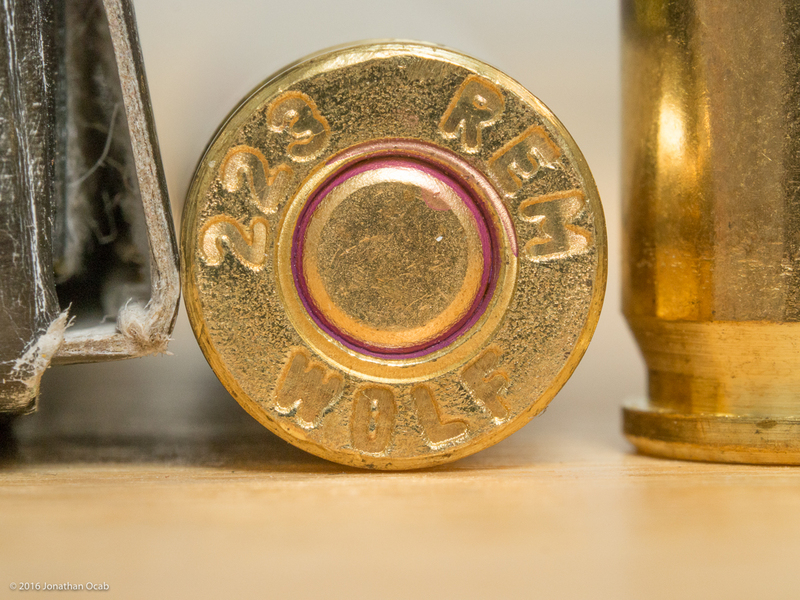 I will admit that before I started, I had the most interest in Wolf Gold 55gr .223 Remington. 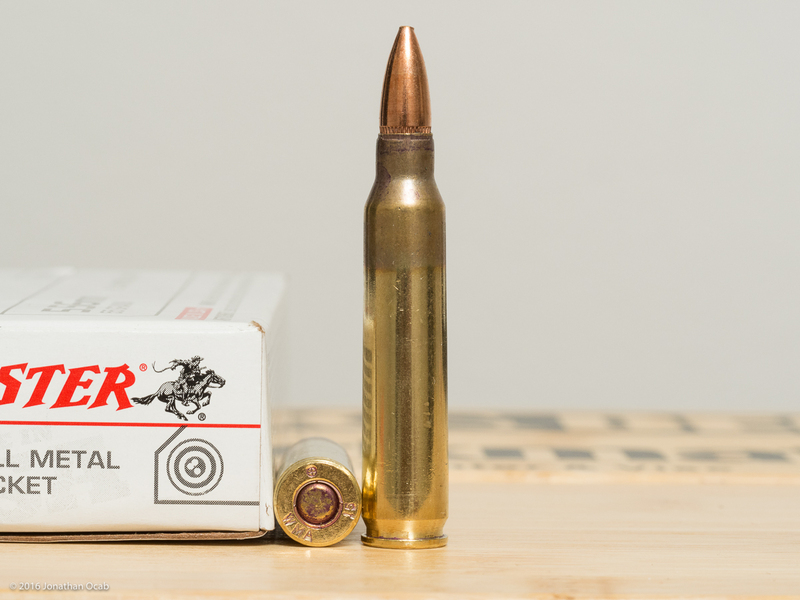 This ammunition can often be found at a lower cost per round than other brass cased 55gr ammo, so it is an attractive choice for the budget minded shooter. It looks like it has qualities that make it a suitable factory round to use in the AR platform (bullet and primer sealant, primer pocket crimp) and it actually has 5.56 NATO equivalent muzzle velocities. The blended extruded and spherical powder is interesting, and I wonder if that is intended to accomplish a specific burn rate / pressure curve. 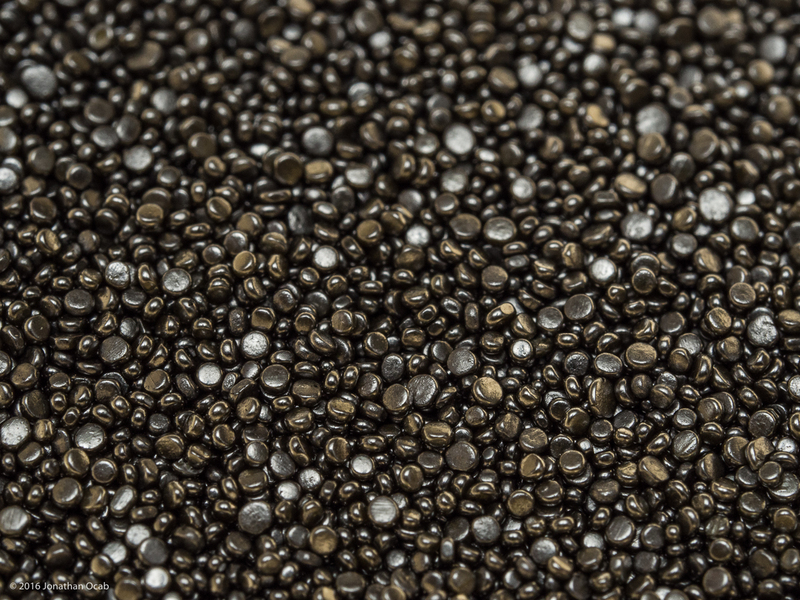 Again, this post is not meant to be a review, but merely an experiment or observation while comparing 5.56 NATO and .223 Remington ammunition types that are commonly available to consumers, and are often acquired by AR platform shooters. I am most likely going to acquire some other lot productions of IMI M193 55gr 5.56 NATO to see if what I experienced in my testing was a fluke. For more entertainment, watch my Range Vlog episode #004 for footage of the range session when I conducted the live fire testing. 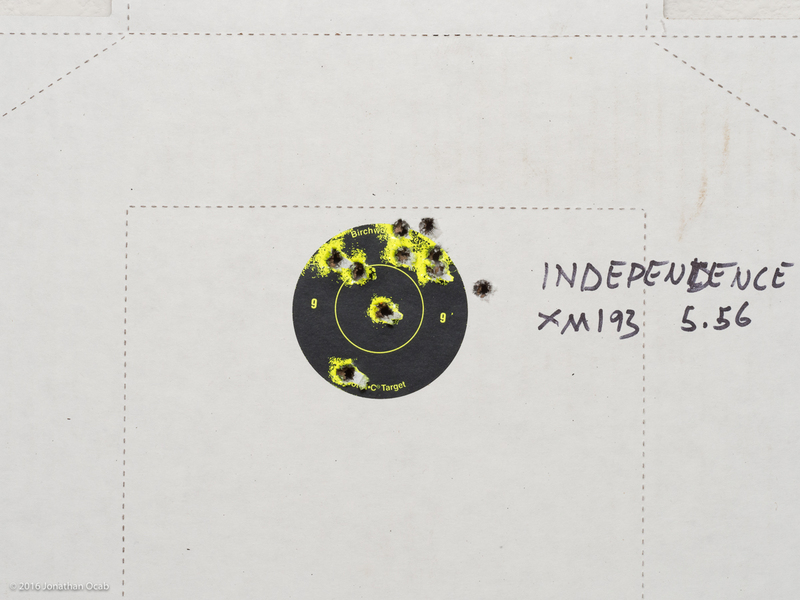 You could download the free version of OnTarget, scan your target and get exact group sizes. Thanks for this. Every little bit of info helps. Every. The origin of XM193 remains a bit of a question mark. I know the popular theory is that it’s simply ammo that failed to meet milspec for some minor reason, though I have also seen where Federal denies this. It’s also worth pointing out that the US military, as far as I know, has not procured M193 since the 80s, so that casts further doubt on XM193 being milspec rejects. There’s no M193 being made, hence no rejects to be called XM193. 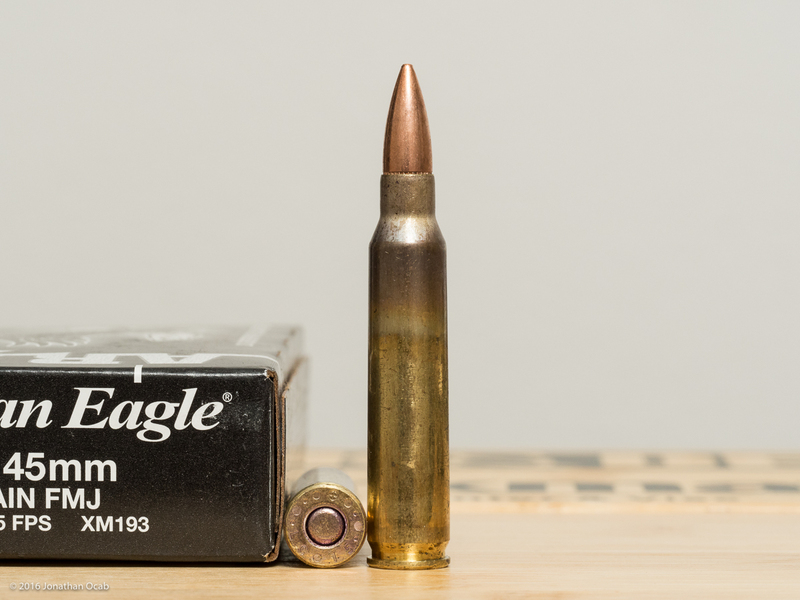 I suspect the more likely explanation for XM193 is that Federal uses excess 5.56 cases from the Lake City plant and loads them with 55 grain bullets for the commercial market. That would explain the NATO cross on the headstamp, which would seem otherwise out of place when considering the fact that there has never been a NATO standard for 55 grain 5.56. 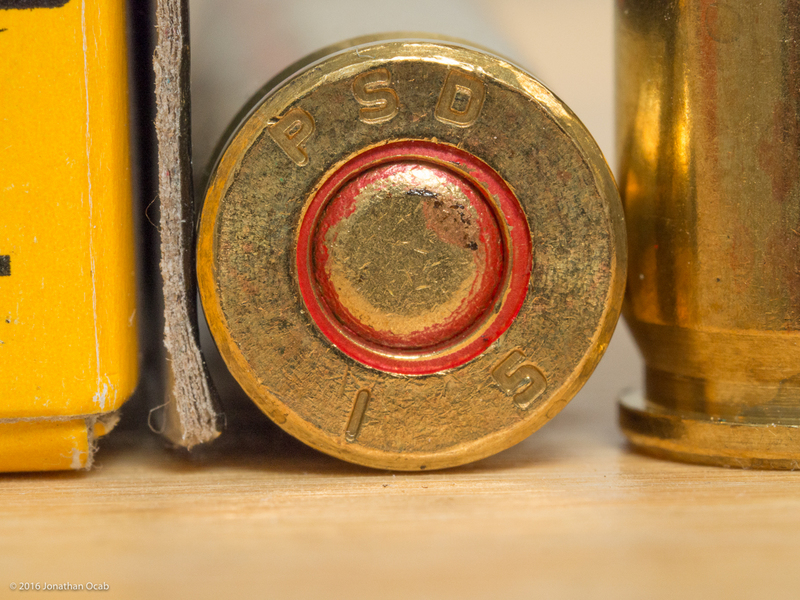 NATO did not standardize the 5.56 until the 62 grain SS109 projectile was accepted in the late 70s. Yes, I totally agree to the murkiness of Federal XM193. As far as the NATO cross, you are also correct with regards to M193 not being a NATO standard, and I agree that they re-use the same LC brass for M855 and M193 for convenience / cost savings. Just FYI but “M193” type ammo cannot properly be called “NATO” ammo as it does not meet STANAG 4172 specifications. 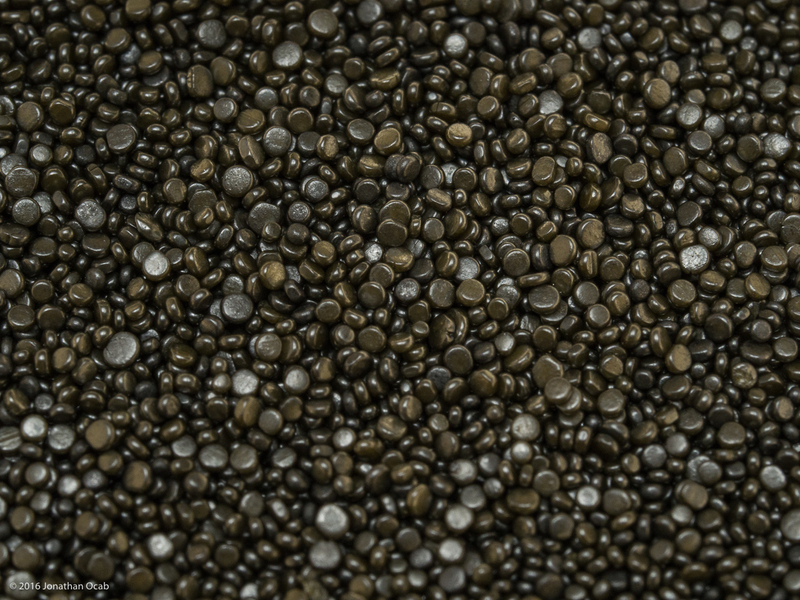 It is simply M193 Ball ammo. Correct, but people need to realize that M193/XM193 is a 5.56 NATO cartridge in so far that it is for a 5.56 NATO chamber, and not a .223 Remington SAAMI chamber. Excellent, thanks for the hard work. Stopping by from WRSA and wanted comment on the Wolf Gold 223. It’s manufactured in Taiwan to XM193 specifications. This is according to Mac over at the Military Arms Channel over on YouTube. I do not reload I just shoot at the range with y ARs. I was really disappointed with the IMI stuff, both M193 and their 77 OTM Razorcore. Not very accurate at all, no wonder they are going so cheaply compared to other similar ammo. Sorry about typo in your name. Ocabj. The rest is the Champion Mini-Gorilla. I got it off of Amazon pre-filled (http://amzn.to/1oBMvqd). 1-9 will theoretically be more accurate for a 55gr than 1-7. But I have always owned 1-7 because I like to shoot 77gr (especially for High Power Service Rifle). Was linked to this from TheFirearmBlog.com. Excellent work documenting and presenting your observations. Thanks for this! Thanks for the kind words. I’m glad someone found the information relevant. I’m wondering how your twist rate might be affecting the results. A 1/7 twist seems too fast for the 55-gr bullets. The original twist for that bullet was 1/12, and most mil-spec guns intended for 55-62-gr appear to run 1/9. I’d like to see you repeat the test with a 1/9 gun. 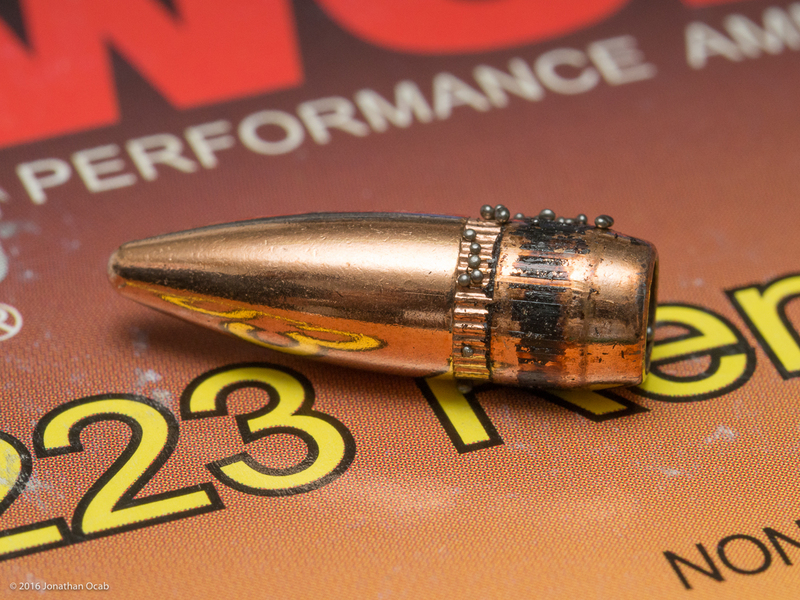 A slower twist rate will most likely change the results, and some ammo might actually perform better than they did (and others worse). As far as military service rifle barrels, the only twist rates the M16 has had are 1-12 and 1-7. Obviously, my comparison is not all inclusive. There are too many different barrels to test through: 14.5″, 16″, 18″, 20″, as well as 1-7, 1-8, 1-9. But running it out of a 16″ 1-7 is going to cover a lot of the ARs (e.g. ‘M4-gery’ style guns) that people own. But every AR barrel I have ever owned has been 1-7 (except for one used 20″ Compass Lake upper I acquired which had a 1-8).